Transportation is a necessary infrastructure for our modern society. The performance of transportation systems is of crucial importance for individual mobility, commerce, and for the economic growth of all nations. In recent years modern society has been facing more traffic jams, higher fuel prices, and an increase in CO2 emissions. As cities around the world attempt to tame traffic gridlock, and invest heavily in public transport systems, they often struggle to operate their transit networks cost-efficiently, and to deliver a passenger experience that will satisfy demanding commuters. It is imperative to improve the safety and efficiency of transportation. Developing a sustainable intelligent transportation system requires the seamless integration and interoperability with emerging technologies such as connected vehicles, cloud computing, and the Internet of Things. Zotera offers Industrial Internet of Things (IIoT) solutions to connect transit vehicles with operations systems. 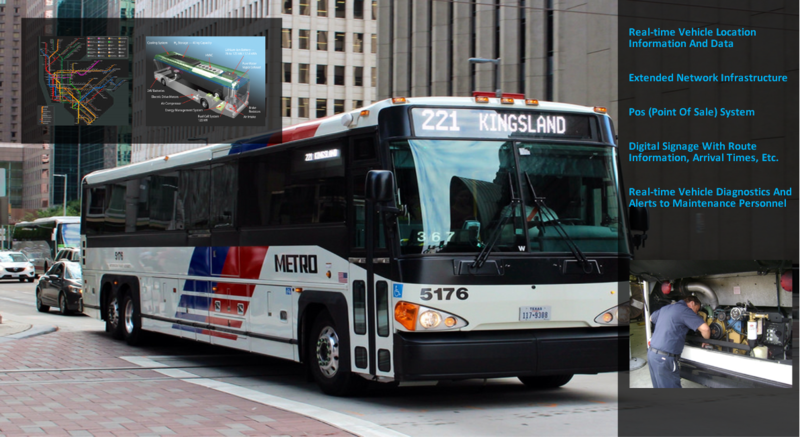 By connecting public transit fleets with wireless IIoT solutions, transit authorities and light rail operators can improve the passenger experience onboard. Provide more efficient transportation services by supporting real-time route and schedule management, and fare payment. Provide real-time vehicle location information and data for analysis to improve routes and options. Facilitates Predictive, and Preventive Maintenance by allowing administrators to monitor the health of a fleet from any connected device. Provide the ability to set up alerts for low battery, check engine, oil change, coolant temperature, inspection reminders, and more. Supports predictive, and preventative maintenance Provide information to help reduce carbon footprint by optimizing fuel consumption. Provide a better passenger experience with passenger WiFi services including wireless Internet access on the move, and more relevant and accurate information to passengers. Help operators to develop deeper passenger relationships by collecting data across the entire journey-from ticketing, to travel information, to web browsing while onboard. Generate revenues through digital advertising in stations, coaches and vehicles. Help to ensure drivers are adhering to established industry and/or employer safety guidelines (maximum amount of time a driver can be on the road without rest, how fast vehicles are moving, how long they remain idle, etc..).